Disconnected Trailers | Nashville Trucking injury Lawyers The Law Offices of John Day, P.C. Disconnected trailers, or runaway trailers, pose a fatal threat on our roadways. Anytime a trailer of any type is being towed, including large tractor-trailers and smaller trailers like horse and boat trailers, there is a risk that the trailer will disconnect from its towing vehicle. When a trailer disconnects, it essentially becomes a missile endangering anyone in its path. The most common reason for a disconnected trailer is that necessary procedures and inspections were neglected. Before driving, the person operating the towing vehicle and potentially other responsible parties should inspect the trailer and its connection or hitch. When this inspection is skipped or done in an inadequate manner, the trailer is at greater risk of disconnecting during operation. improper use or installation of safety chains and back-ups. 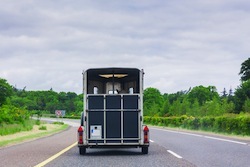 A disconnected trailer accident is a serious incident, and you need experienced lawyers to ensure that your rights are fully protected. These types of accidents often receive media coverage, and the insurance companies representing faulty parties will likely try to settle your claims quickly. If you have been injured by a runaway trailer, call our office at 615-742-4880 or toll-free at 866.812.8787 or contact us online before taking any further action. We can review and discuss your case in a free, no-obligation consultation. We handle all accident cases on a contingency basis which means we only get paid if we win. To learn more about our fees and how we handle case expenses click here.